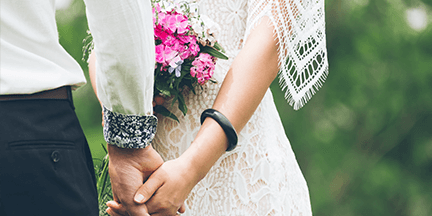 You're getting ready to tie the knot in Pittsburgh, and it's quite an exciting time for both yourself, and those who are close to you! After all, you've been waiting for this moment for your entire life, and your family has been, too! Chances are, you've been thinking about your wedding day since you were a little child. It's finally time for those dreams to come to fruition, and there's a lot of planning to do before the wedding bells ring. However, with a bit of carefulness and attention to detail, you'll find that planning a wedding is an easy process that results in the wedding of your dreams. One major part of your wedding day is the transportation. You'll have a group of well dressed family and friends who will need to be transported to your ceremony, pictures, reception, and anywhere else you might have in mind! You're going to want a mode of transportation that's known to be reliable, comfortable, and stylish at the same time. You're in luck, as Limousine Pittsburgh is known to be all of those things, and affordable, on top of that. You're going to have a great time using their high quality limos and limousine buses for your wedding day transportation. The last thing you want is to be left of the side of the road with a broken down vehicle from an company in the area that isn't as reputable as Limousine Pittsburgh. When you rent with Limousine Pittsburgh, you know exactly what you're getting for your money, before you make the jump. This is why they are top provider of wedding day transportation in Pittsburgh! Other companies pull up with demands of extra fuel charges, or a drivers gratuity, but with this company, you'll know exactly what you're paying for. In fact, all of those extra things are included in your price! Another reason why Limousine Pittsburgh is a great choice for wedding transportation is the fact that they've updated their vehicles with impressive features for you to enjoy on your wedding day. How can you go wrong with a large flat screen television that has the ability to play a wedding day slideshow on the DVD player? There are also iPod/MP3/CD capable sound systems for a completely custom wedding day playlist. Best of all, their limousine buses come with dancing poles, spacious dance floors, bar areas for a wedding day toast, perimeter leather seating throughout, neon lighting accents, tinted windows, and more. Give Limousine Pittsburgh a call when you're looking for professional wedding day transportation in Pittsburgh. They'll be glad to accommodate your wedding and make it one to remember with luxurious transportation. It's easy as ever to reserve a limousine bus or limousine in Pittsburgh when such a reputable company exists as an option! Be sure to consider their services, and you'll be left with a fantastic wedding day filled with all things positive. The best part is, you won't break the bank getting quality transportation, either. Give them a call today!